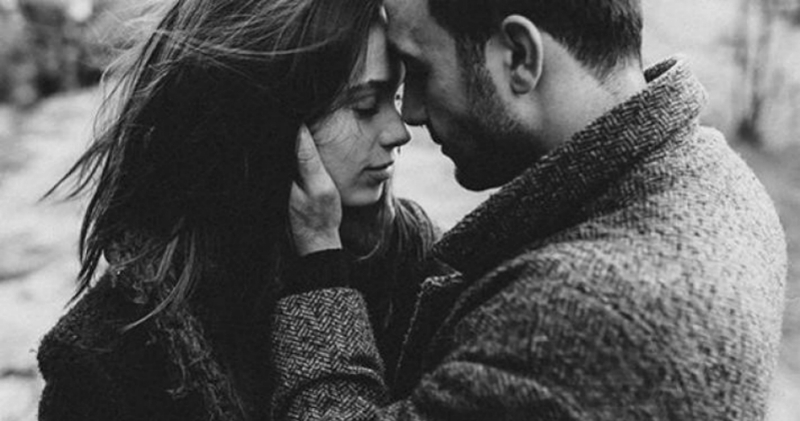 5 Signs Someone Is In Love With You Most People Do Not Even Realize They Show! Human beings are good at interpreting the actions of other people. Only that, most of our presumptions aren’t right. It takes a lot of intuitive ability to know the motives behind the actions of other people. However, when it comes to falling in love, even the people who are into somebody aren’t aware of their own actions. They do weird things and become somebody who is far different from their usual self. They even do the most challenging of things just to get their love interest’s attention. If you feel that someone is vehemently trying to get your attention, they might be attracted to you, or is already in love with you. Here are more clues that tell you they’re in love with you even when they don’t say it. 1. They try to find different ways to converse with you. The easiest way to get someone’s emotional attention is through conversation. Even if it’s only a quick chat, a person who is in love with you finds delight in having you noticed them. They also want to know you more on a personal level. They can only do this through engaging you in a conversation. This way they can make you put a little emotional investment. At times, their topic could be silly because they might get lost in your presence. But, at least, they try and that’s the best that they could muster. 2. Their day instantly brightens up when you’re around. People who are in love notice no one other than the person they adore. So, when you see someone’s face lighten up when you arrive, it’s a sure sign they’re in love with you. Your mere presence magnetizes them and they seem to melt even if they’re in the middle of a conversation. Their smile radiates like a child who’s given a chocolate. Their day is incomplete whenever you’re not around and may even worry why you haven’t come. 3. They shower you with little tokens of love. A person who loves you makes an effort to find out for the things that can make you smile or become happy. For this, they may send you flowers, or some little things that can entice a smile on your lips. They may not be trying to woo you nor buy your love, but they just want to see you happy. A flower freshly cut from the garden may not cost a dime but it’s the thought that counts. Receiving these kind of gifts and loving thoughts from someone is one sign that says love is in the air. 4. They’re always there for you. They don’t care even if it’s 3 am when you called just to have someone to listen to your woes. In fact, it makes them super happy to be the first person who comes in your mind to ask help over something. They’re more than willing to help you and even takes pride in playing a role in your life. Whenever they show up in your doorsteps with an ice cream or a bunch of flowers to brighten up your mood, take it as a hint that their feelings for you is more than that of a friend. 5. They honestly like you for who you are. Most often, the people who care for you see your true beauty more than you do with yourself. Why? Because you have this effect on them. There’s something in you that stirs their inner world. They even can’t vocalize it whether it’s your smile or the way you gaze at them that makes them see you as truly attractive. They’re interested in almost everything about you: your favorite color, your self-care rituals, or even your favorite scent. They may even make an effort to care for the people who matters to you because they want to be a part of your life. They’re interested even in the minute details of your life. If someone in your life does all these things to you, you already know what it means. Just try to open your eyes and heart because not everybody feels this way for you. And try not to ignore them; as we can only know the true value of a person in our life when they’re gone.